Related to patterns and energies in nature including the forces of water and wind and their power of erosion and destruction, Leslie Shellow’s installation, using recycled materials, cut paper, and intricate drawing, creeps and crawls over the entire gallery. About the artist: Leslie Shellow was born in Washington DC in 1969 and currently resides in Baltimore, Maryland. She has exhibited in such venues as The Delaware Center for Contemporary Art, the Silber Art Gallery at Goucher College, the National Institute of Health, Carroll Square Gallery in Washington DC and the Arlington Arts Center in Virginia. Her most recent solo show was on view at the Julio Fine Arts Gallery at Loyola University of Maryland in the fall of 2016. In 2017, Leslie was selected as a Baker Artist Award Finalist and in 2015, a Sondheim Prize Semi-finalist. In addition, she was awarded the Maryland State Arts Council Individual Artist Award for Works on Paper in 2010, 2013 and 2016. She holds an M.F.A. in Painting from Towson University, a B.F.A. from The Maryland Institute College of Art and a B.A. in Education from the Evergreen State College. Her work consists of oil painting on panel, ink drawing on panel and paper, printmaking, bookmaking and installation. 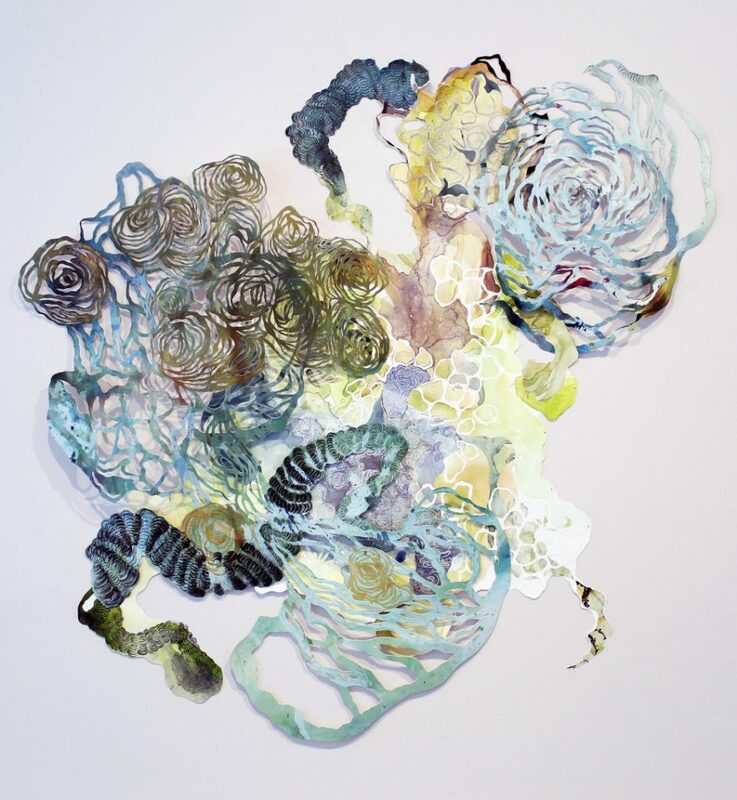 Pulling her imagery from observations of nature, both in the visible world and through microscopes, Leslie addresses natural processes such as growth, decay and regeneration. Mold, lichen, corral, cells, viruses and bacteria are among the many natural elements that influence her work. She currently teaches Drawing at the Maryland Institute College of Art and is a Gallery Assistant at Fleckenstein Gallery and Archival Framing.